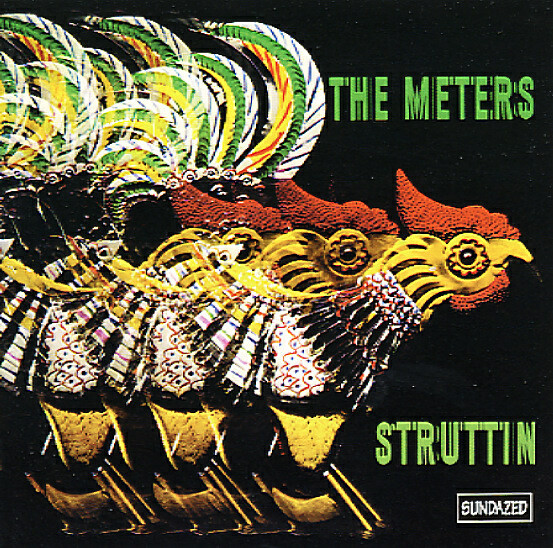 The Meters are struttin plenty here – stepping out with those hard, tight New Orleans grooves that practically changed the way funk sounded in the 60s! The album's one of their classic trio for Josie Records – all of which are sublime – and like the others, it's got this massive blend of whomping rhythms, bubbling Hammond, and scratchy guitar lines that make all the tunes plenty darn infectious. All tracks are great groovers – and titles include "Same Old Thing", "Joog", "Chicken Strut", "Liver Splash", "Hand Clapping Song", "Hey Last Minute", "Tippi-Toes", and "Ride Your Pony". A bucket of breaks in every track! © 1996-2019, Dusty Groove, Inc.